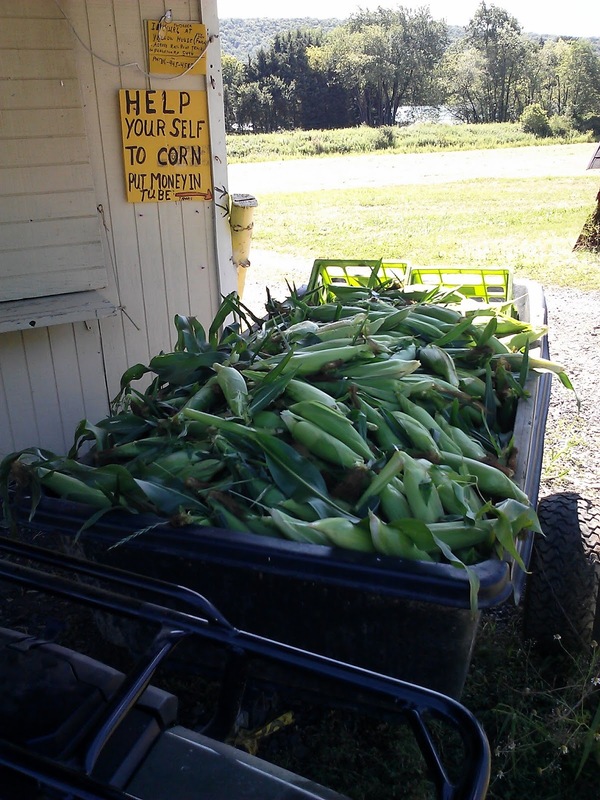 Alas the short sweet corn season is ending. No more traipsing outside to peel the cobs and wrangle with the soft, silky filaments, a process that takes longer than eating the stuff. Someone told us that cooking them in the microwave eliminates a lot of hassle but it sounds too good to be true. Dental floss manufacturers will be cutting their losses and the spiky fields are turning brown. But if all the sweet corn you've ever eaten has come frozen from Tesco's, you haven't lived. 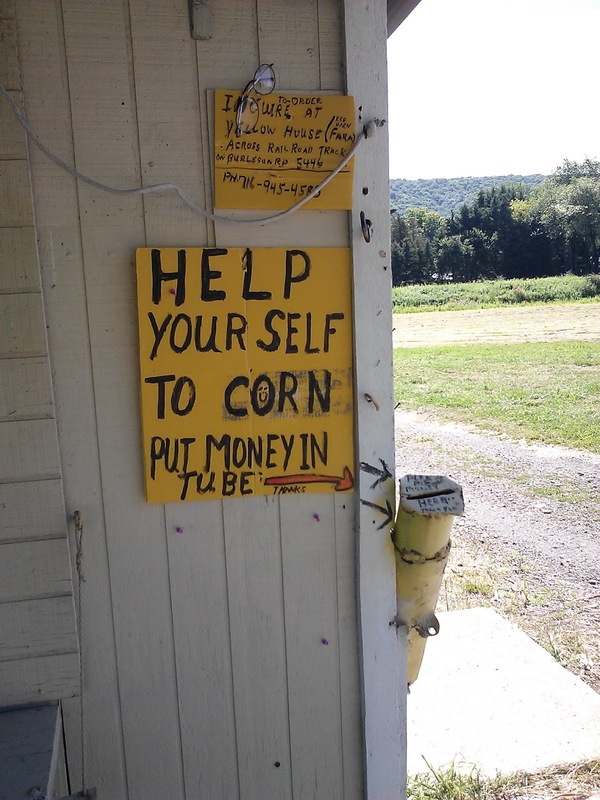 This one of the best places to get it, a typical roadside place but with an ingenious method of collecting money in what appears to be an old drainpipe. I had selected my corn and put in a bag when the farmer drove up with a tractor and trailer. "Ooh, is that freshly picked?" I asked, just like a knowledgeable American. "Sure", he said and gallantly let me swap mine for some of the new lot. 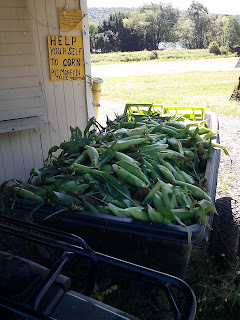 The traditional method is to put your pot on the boil and then rush out to pick your corn but this was almost as good. I thanked him profusely and gave him back the original ones, "No problem, I'll just feed these to my heifers!" Lucky heifers, I say.